ActivateCommands addon was created specifically for MCPE 0.13.0. Addon activates "debug mode" in the game and includes commands that have been shown to us in Minecon 2015, but were not added to the release of the game. KsyMC has created an incredibly useful addon that has many useful features, among which are the most important gamemode, etc ... 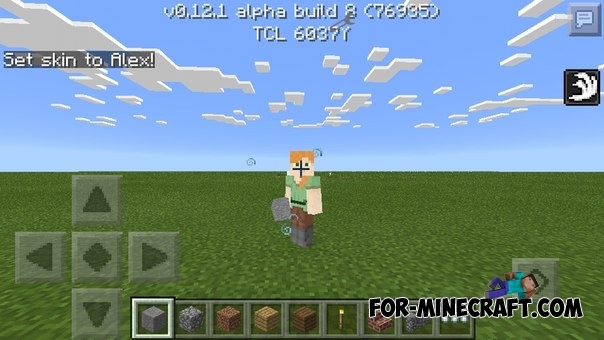 The new version supports Minecraft PE 0.13.0 build 5. At the moment, developers do not update their mods for MCPE 0.12.1. Therefore, have created the addons. This is an incredible add-on by KsyMC, which adds a variety of different console commands. Advanced Single Player Commands mod for Minecraft PE 0.11.1 / 0.11.0By installing this mod, you can get a lot of different features that significantly simplify the gameplay! I want to use comments . THIS IS TRUCKING CRAP!!!! Do NOT download. It comes with a virus! He did not explain it well at all!